Have you ever wondered where a mystery writers get their ideas or how a fantasy writer comes up with those names or just how much of a work of ‘fiction’ mirrors the author’s life? Here’s a chance to find out while supporting a great organization and partaking of some of the area’s best beer, too. 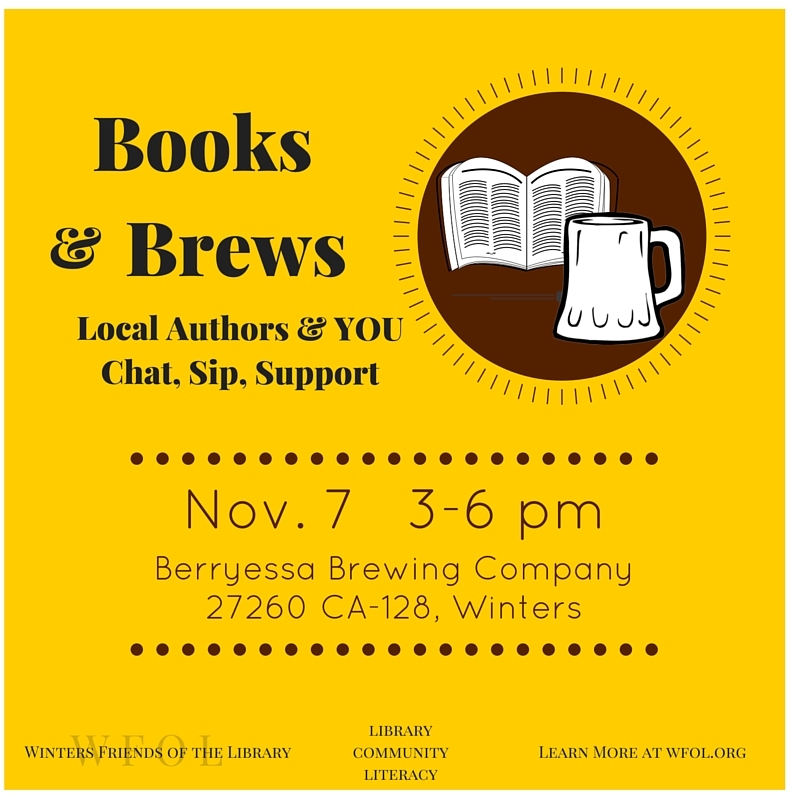 Award winning and best-selling local authors Steve Ackley, Kris Calvin, Kelly Hess, Emer Martin, and Tamsen Schultz will be at Berryessa Brewery from 3-6pm on November 7th having a few drinks, chatting with folks, and selling books (with proceeds going to Winters Friends of the Library). The event is a unique opportunity to talk informally with local authors, learn more about the industry, and maybe discover something new to read while supporting an organization that plays an important role in the community. 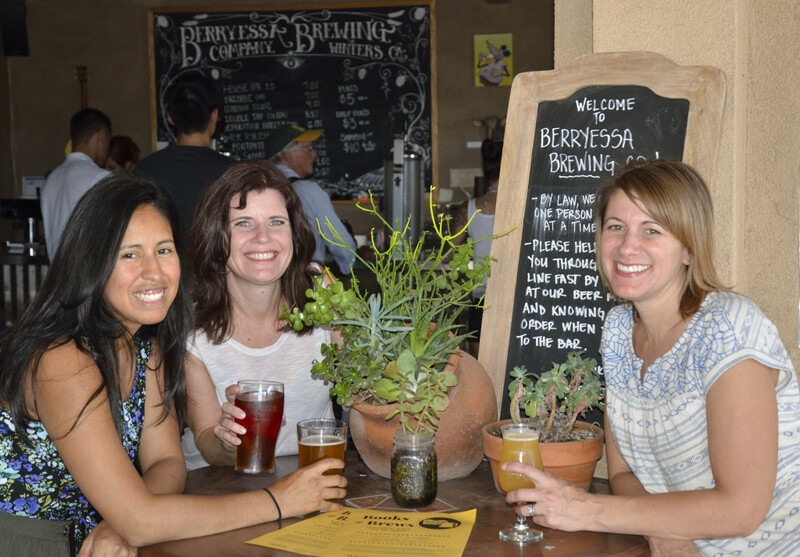 With a special thank you to Berryessa Brewing Company for hosting the event, WFoL hopes to see you all there. WFoL Board Member Bianca Cox, local author Tamsen Schultz, and Berryessa Brewing co-founder Lori Nicolini Miller are ready to greet you at Books and Brews. photo credit Pierre Stephens.